I don't say the RICM never operated the AMX 13 but I haven't found any evidence of it. Concerning the marking with a black background the fact that it comes from a picture of the Musée des Troupes de Marine explains it all. The Musée is in Fréjus where the 4e RIMa was stationed as well. The tank has probably been a gate guard when the 4e RIMa was still active and they marked it as if it belonged to the regiment. Most probably the tank belonged to the 21e RIMA also stationed in Fréjus. This regiment had been a mechanised one in the 70s and as such had a tank company with AMX 13s. When the regiment moved to Fréjus it changed in its organization and became a combined arms unit (2 INF COY, 1 CAV SQN, 1 ARTY BTY and probably 1 ENG PLT). It received the VAB as the standard vehicle and AML as the cavalry role. It is possible the regiment preserve a AMX 13 as a reminder of their former structure. With time passing, the 21e RIMa has probably transferred the AMX 13 to the 4e RIMa which as a "territorial" unit was best fitted to take care of it. Don't take this as THE truth but it is a logical assumption and explanation for the marking. Argh! I need to start writing EVERYTHING down. Thing I remember seeing was a translated from French unit history. I remember it said the unit was transferred back to France from Africa (sounds like Colonial Troops whichis why I thought RICM),issued AMX Char Lances and ... I think .... assigned to a base in Germany. Time frame was the 70s. Oh, the decal with the black background , I found a photo with the same markings. It is from a tank at the Musee des Troupes de Marine. May explain the markings being off. I didn't find in my records any mention of the RICM operating AMX 13s. Douaumont has been a major battle where a lot of French units fought so it could be another unit. Both markings need to be researched to get THE right answer but the top one is an antitank company. The other one is from a command and logistics company. 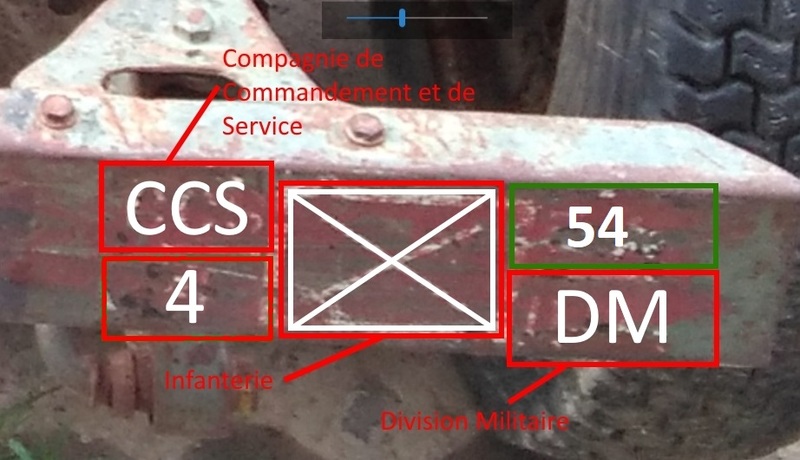 But the weird part is the marking 53DM which means division militaire that is a territorial command. I'll try to get more information from my documentation. If you could post larger pictures with the tank it could help. To my knowledge the 4 could stand for 4th regiment d'infanterie de marine (former colonial troops). This regiment was a training unit stationed close to Marseille home of the 53DM. However I'd surprised this unit got AMX13. Any clues on these French bumper markings. Both are from AMX-13/75 Char Lance. Whatunits? In Peru, it was not the first time, that the Russian D-30 122 mm howitzer is used to create a new mobile tracked or wheeled self-propelled howitzer. The solution of Disenos Casanave is to use the chassis of the light tank AMX-13 as a self-propelled howitzer which is normally fitted with a turret armed with a 105 mm cannon. The idea is to replace the original turret by a D-30 122mm howitzer mounted in the centre of the hull. The AMX D-30 self-propelled howitzer is essentially a modified AMX-13 light tank chassis with the hull modified to accept a 122 mm D-30 howitzer and its recoil, elevating and traversing mechanism. Merci. Good thing I ask. Have to get an order out for other paints. Have to add that one. I stumbled into some info (lost it and can't find it again. ) on the one with the name "Douaumont ". I'm thinking it might be Régiment d'infanterie chars de marine RICM. I saw mention of them having AMX 13 Char Lance in the 70s and they do have Ft Douaumont / Verdun in their battle honors. The French armor color was called Bert armée which translates into army green. It was not a olive drab variant. A good shade is Tamiya XF 13. You can lighten it a bit. Concerning the number of return rollers, Takom is correct. When the gun was modified the hull was not. Looks like a French one gets the nod. What color for Cold War French is best. Kit instructions say Mig "US Olive Drab." I have markings for 5th Dragoons in Germany in the 70s. Another option has spiffy camo and the name "Douaumont ", but unit and location are mysteries. Speaking of mysteries .... I noticed that Takom's AMX 13/90 has two return rollers per side. My understanding is the early production had 2 rollers then they went to 4. I thought the /90s were new build. Were they up gunned , older hulls? Or did Takom screw the pooch? The AMX-13s were supplied with the SS-11 as part of the deal when they were supplied by france, At the time the IDF were in the Market for A Anti/tank missile in line with what the Arabs were using; Namely the Sager which was Wire Guided !! AS for the AMX-13s they were not very popular with the IDF and the SS-11 were very vulnerable in the open at top of the turret. The White Half/tracks were more ideal with there deployment ! At the time when I took the pictures the IDF had A vast array of Armor in there inventory; M-48s,Centurians,Shermans and captured T-54/55s as there Main Armored force ! 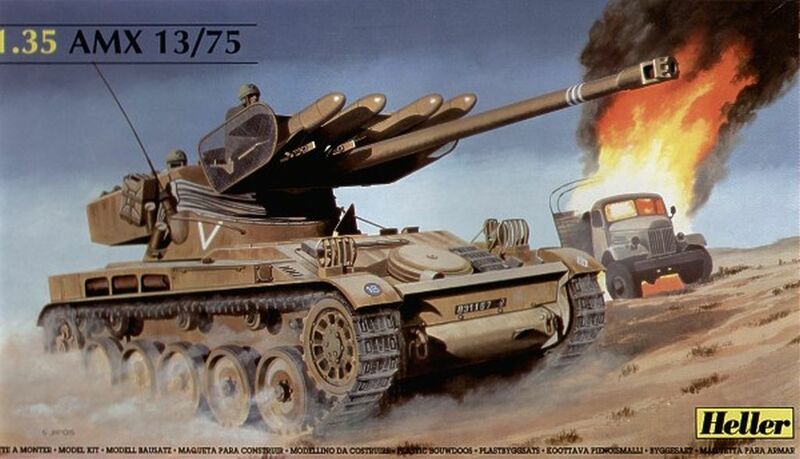 I have been told by a reliable source that IDF didn't use the SS11 on the AMX13. Concerning mounting the missiles on half-tracks I have seen a number of pictures of this setting. FYI; The IDF did have SS-11 in there inventory, altho they were never used in any of the war's ! The SS-11 can also be seen mounted on Half/tracks and I have pictures in my personal collection that I took in one of there Independence Day parades back in the 70s ! The SS-11s were not widely used and were soon replaced by the SS-12 which was A much better system. According to my references IDF never used this version. I guess the French army was the only user.